Steve Jobs has used an open letter to defend Apple's decision not to allow Flash on many of the firm's products. Neither the iPod, iPhone nor iPad can run the software despite the widespread use of Flash technology on websites for video and animations. He said Flash was made for an era of "PCs and mice" and performed poorly when translated to run on touchscreen smartphones and handheld devices. 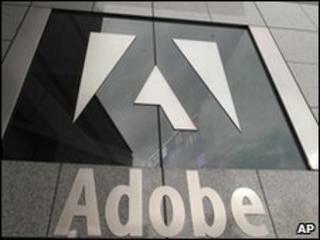 The head of Adobe called the highlighted problems "a smokescreen". The letter comes soon after Flash's developer Adobe announced it would stop making tools that allow developers to quickly translate Flash code to run on Apple gadgets. These allowed developers to make applications once and then distribute them for use on various phones and operating systems, including Apple's iPhone. Adobe's announcement followed a change to the terms and conditions of the licence that software developers must sign when writing code to run on Apple products. That change banned developers from using automatic translation tools, effectively forcing them to develop two applications - one for Apple products and one for everything else. Adobe CEO Shantanu Narayen told the Wall Street Journal (WSJ) that "when you resort to licensing language" to restrict development, it has "nothing to do with technology." He said it was now "cumbersome" for developers who were forced to have "two workflows". In his lengthy open letter titled Thoughts on Flash, Mr Jobs said the reason Apple did not want people to use Adobe's automatic translation tools was because experience had shown it results in "sub-standard apps". He described Flash as a closed system and said that it was bad for the smartphone era because it did not support multi-touch systems and helped drain battery power unnecessarily. He also pointed out that there were now alternatives to flash technology, particularly for web video. The Apple boss added that Flash fell short on security and was "the number one reason Macs crash". But Mr Narayen said that if Flash crashed Apple products it was something "to do with the Apple operating system." He said he found it "amusing" that Mr Jobs thought that Flash was a closed platform. "We have different views of the world," Mr. Narayan told the Wall Street Journal. "Our view of the world is multi-platform. The letter provoked an avalanche of comments online, with many saying Apple's restrictions on what can be done with its software go far beyond those on Flash.